Take a peaceful stroll through the private fenced mountain meadows, that are the perfect home for your horses, on the Ashcroft House's 7+ acres. The area's natural beauty can be enjoyed just as much from the spacious yet cozy interior. 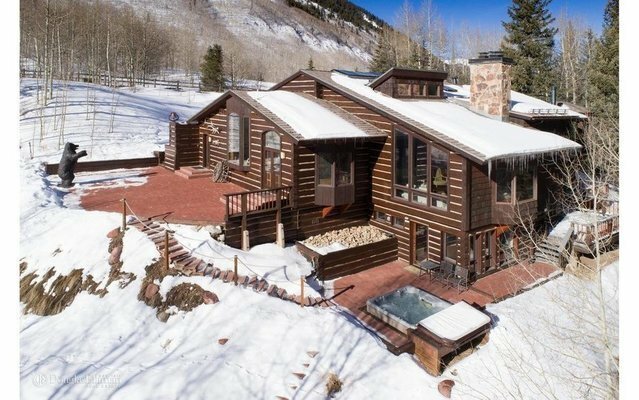 The timber framed living area, bay windows, large patio, and outdoor spa all provide breathtaking views of the historic Ashcroft valley, the waters of Castle Creek and the surrounding peaks. All of this just a scenic 15-minute drive to Aspen and two miles to the Pine Creek Cookhouse.